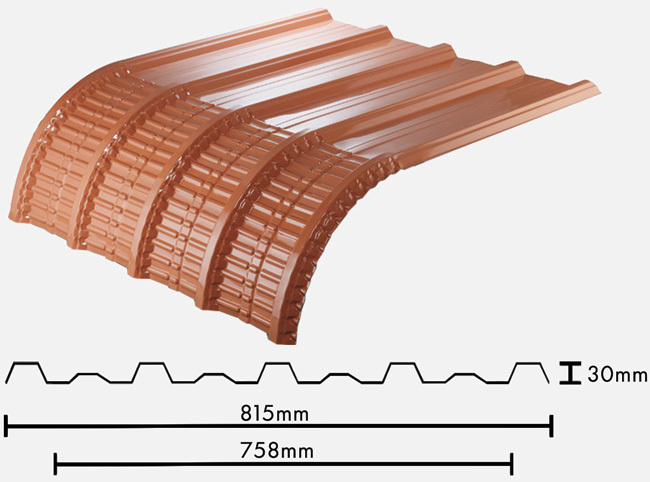 When installing the crimpcurve roofing, it's essential that each run of curved and straight sheets are endlapped progressively across the width of the roof so they can kept in alignment. For best result, sheets should be laid in the order illustrated in the diagram, a carpenter's level should be used to lay the first sheet. Always measure every 3rd or 4th sheet to cheek square. A rope with a hook at one end may be on the overlap side of the sheet to obtain a good lap. Important note: there is at last 100mm at the end adjacent to the curve which cannot be curved. This must be taken to account when measuring.